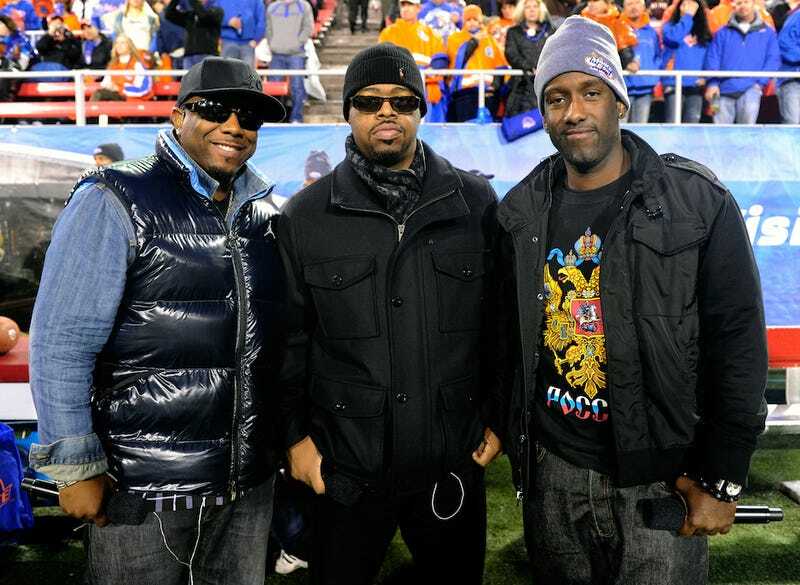 We blipped about this Sunday and it bears repeating: Aaron Rodgers is friends with Boyz II Men. Such good friends in fact, that he entered into a friendly (see?) wager with the balladeers concerning the outcome when the Packers visit played host to San Francisco. Packers win, Boyz II Men's Nathan Morris would have to wear a Packers jersey for a week. Niners win, Rodgers would be forced to wear a Niners jersey for a week. Apparently Rodgers can't get around the bet by only wearing the jersey in his house, either. Morris would have had to wear a Packers jersey through this week had Green Bay won, but he's not a professional football player — he doesn't have to go to team meetings and film room and all other game-prep functions wearing the colors of the opposing team. Welp. We'll surely keep our eyes out for any proof that Rodgers is honoring the bet. Frankly, it's a much more palatable Aaron Rodgers-related bet than that other one floating around out there.